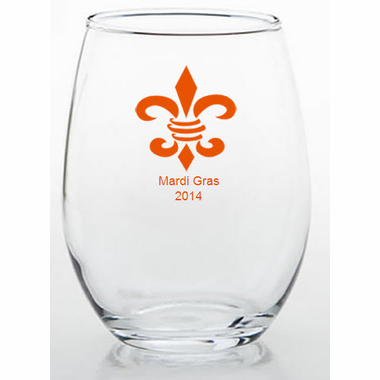 Your friends will be impressed when they get a Fleur De Lis Glass as their party favor. Whether it is a French theme birthday or New Orleans celebration, your guest gifts will be a hit. 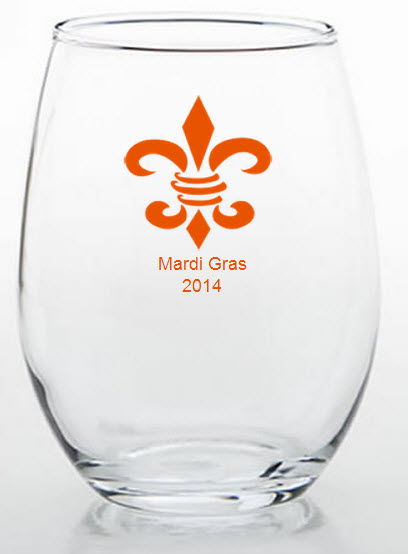 Each 9 ounce stemless wine glass measures 3.75 inches tall and 2.5 inches in diameter. There are many designs, including the Eiffel Tower, that you can have silk screened on your glass. Made in the USA, your items come bulk packed. There is a one time $35 personalization fee for all the glassware orders; a custom made printing plate is required for the glassware orders, and the fee for this is $35. This fee will be automatically added to your cart.